A native of western Europe, collected in New Hampshire and Newfoundland early in the 20th century and becoming locally abundant as it spread. First collected in Marquette Co. in 1934 by M. L. Fernald, who thought it likely to be native but admitted that its behavior in the state “should be watched.” Unfortunately, we have watched it spread throughout the Upper Peninsula, to islands in the Straits of Mackinac, and by 1959 to the mainland of the northern Lower Peninsula. It continues to move south. 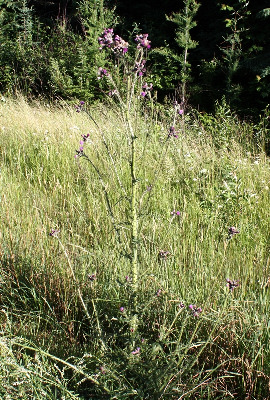 Tall plants form dense ungainly colonies along roadside ditches and adjacent swamps, whence it spreads to shores and remoter wetlands. The tragic spread of this pest into natural wetlands is doubtless aided by logging roads and other disturbance. MICHIGAN FLORA ONLINE. A. A. Reznicek, E. G. Voss, & B. S. Walters. February 2011. University of Michigan. Web. 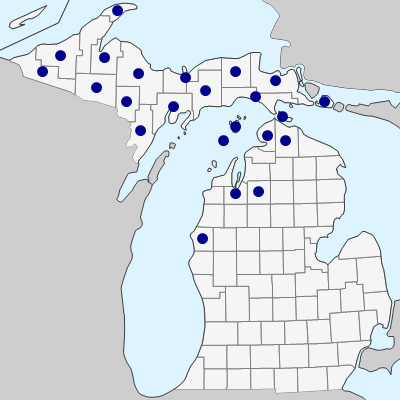 April 20, 2019. https://michiganflora.net/species.aspx?id=289.